Solid Wood Emits A Natural Charm. Multi-tier Etagere Made Of Fir Wood For Indoor Use. Free-standing Flower Display For The Living Room, Hallway Or Conservatory. Practical Super, Strong Load Bearing. Work Fine, Anti-corrosion rust. Solid And Durable. Manual Measurement, A Slight Error, In-kind Shooting, Slightly Color Difference. 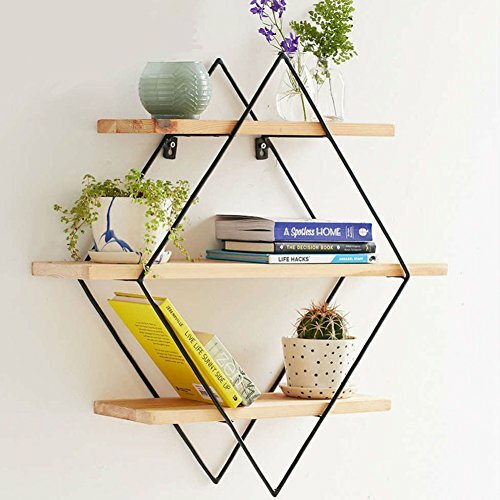 The Plant Stand Is Made Entirely Out Of Wood And Iron.it Is Suitable For Indoor Use, In The Living Room, Hallway Or Conservatory, For example. The Flower Rack Looks Especially Charming Against A wall.